Few things strike terror in the hearts of parents than the prospect of their child going missing. But for one Louisiana woman, that nightmare came true, and now she is blaming the boy’s school for what went down. Five-year-old Kenneth Hotard was found by a good Samaritan trying to walk home, but headed in the wrong direction. His mother Kathleen was understandably distraught. 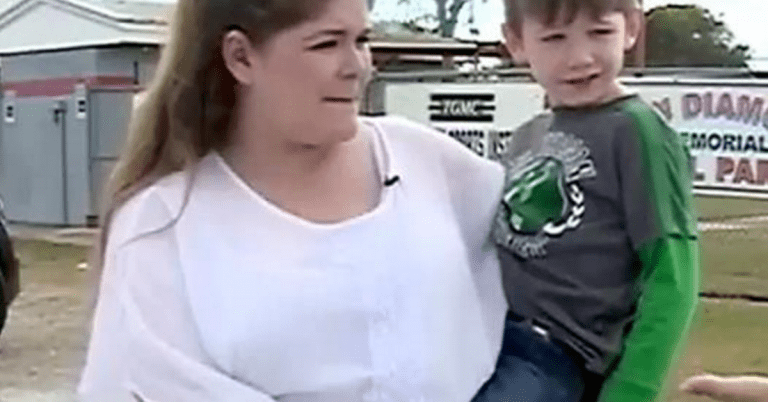 “I got an empty pit in my stomach because at that moment I didn’t know where my child was,” the irate mother told a local Houma TV station. Kenneth had missed his bus, but the situation is a bit more complicated and disturbing than a bus simply not stopping for him. Kenneth had lied and told his teachers that he had a note from his mother allowing him to walk home alone, and without seeing any such document, the school allowed him to go on his own. As for why Kenneth pulled this move, the motivation was pretty disturbing. Apparently, other classmates on the bus had harassed and bullied him, throwing spitballs that landed on his ear, as the young boy told a local TV reporter. Thankfully, nothing foul befell young Kenneth, who got confused and started heading the wrong way home. Happily, authorities came to get him when the kind stranger notified them that she’d found the child walking alone. Even with everything now out on the table, the situation is far from resolved. Kenneth now no longer wants to return to his school at all. His mother says he has constant anxiety attacks and is afraid to be alone, ever. As for the school itself, the superintendent has admitted that the situation was badly mishandled. And Kathleen Hotard intends to make sure that it doesn’t ever happen again to anyone else.